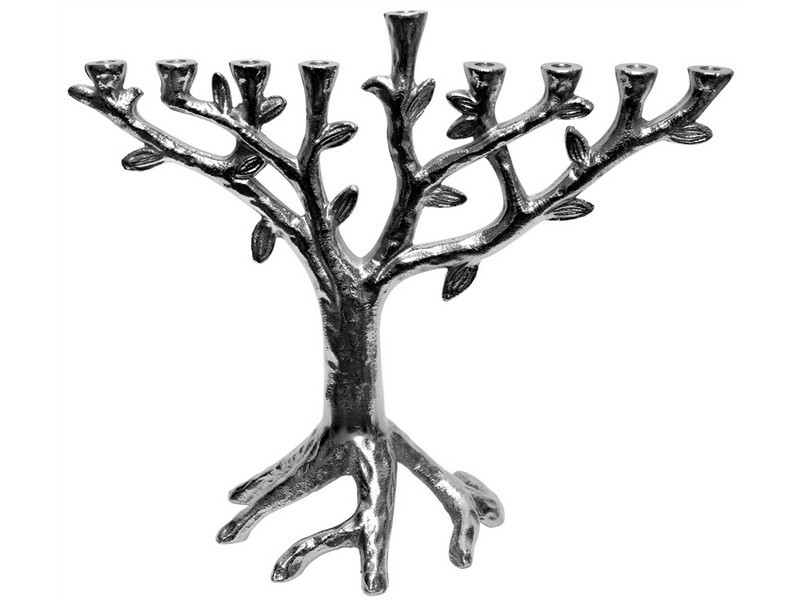 This nickel plated Hanukkah menorah is artistically designed to represent the Tree of Life. This uniquely designed menorah stands on a sturdy base which represents the roots of the Tree of Life. The intertwined branches with decorated with leaves, forms a straight and leveled row of Hanukkah candleholders. The Tree of Life Hanukkah menorah will enhance your home, party and Hanukkah and makes a great gift, especially for tree lovers.